2 Where Does CBD Originate? 2.2 What is Full Spectrum? 2.3 What Are The Different Uses Of CBD? 4 CBD. Cannabis, Hemp – What’s The Difference? 5 Why Is CBD So Effective As A Pain Reliever? 5.3 How does CBD Eliminate Pain? 5.16 Is the CBD Medical Grade? 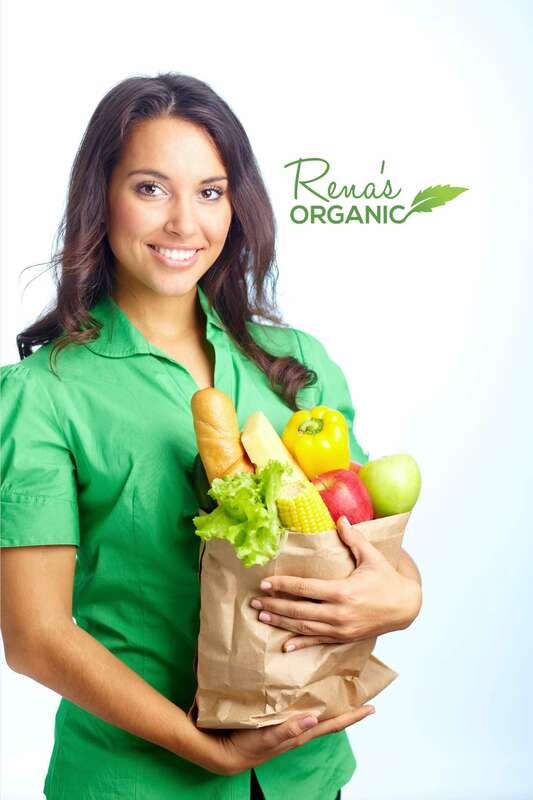 6 Rena’s Organic high quality products. 6.11 What is Rena’s Organic? 7.5 Are the Ingredients Pure? 7.6 Is Your Dog, Cat or Horse in Physical Pain? As the popularity of CBD continues to grow, one of the most common questions people ask is still “What is CBD and where does it come from?” This guide will provide you with the basics of CBD and the many ways medical grade, high-quality CBD oil or cream can be used to improve your health. The first thing that you need to know is that CBD is an acronym for cannabidiol. CBD, or cannabidiol, is a natural substance and dietary supplement that, until a decade or so ago, was relatively unknown by the general public. Unfortunately, there is a lot of confusion and misinformation circulating about it even though it has been shown to be effective for many health conditions. CBD is separated and extracted from the Cannabis plant. When people think “cannabis” their immediate association is that it’s a plant with psychoactive properties. However, that’s completely false when it comes to CBD. The reason for the confusion is that the most abundant compound extracted from cannabis is THC. THC is well known because it is the part of the plant that causes a person to feel ‘high’. THC is still illegal in many parts of the United States. Thankfully, CBD–the medicinal part of the plant–is now legal in all 50 United States. CBD is not medical marijuana, which is only legal in certain parts of the country. CBD is legal in every state and does not require a medical prescription. It’s important to understand that though CBD comes from the same plant family as marijuana, they are two completely different compounds. CBD does NOT get you high. It can, though, get rid of pain, relieve anxiety, help you sleep better, improve brain and nerve function, promote better digestion, balance hormones, and even give you energy when paired with certain herbs. Even though CBD is completely separate from THC, for some people, there is still a stigma surrounding it due to people mistaking CBD for THC. 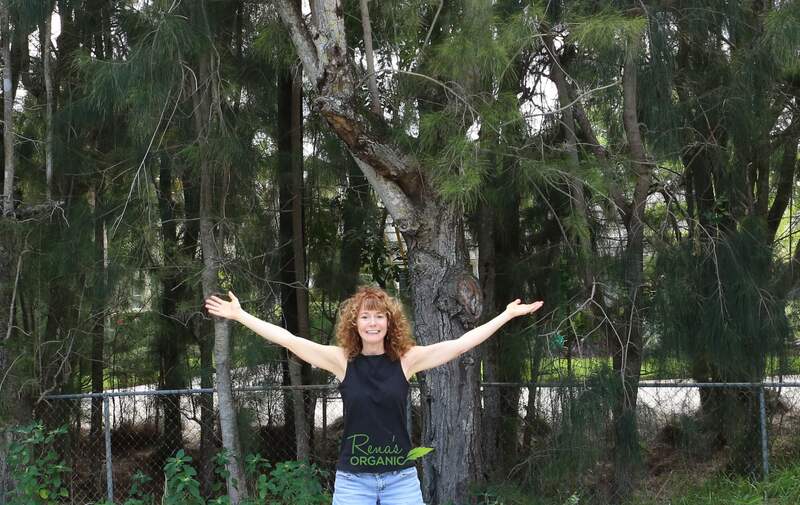 At Rena’s Organic, I want you to share with you the truth about CBD and its amazing healing properties. That’s because I want you and your loved ones to have an alternative to risky and debilitating pain pills and opioids. But one important thing to realize is that all CBD is not the same. I’ve heard some say, “I tried CBD oil and it did nothing for me.” Sadly, people are unknowingly taking CBD in the form of gummies or snack bars, which offer very little absorption, and getting no results. That’s because so much marketing around CBD is not transparent. It’s so important to be a smart shopper when buying CBD and to know what to look for. There’s no reason to throw your hard earned money away on bogus products that claim CBD, but actually, have very little medical grade CBD content. I’m sure it’s unknowingly, but I’ve been surprised to discover that even many doctors who do carry CBD, are selling blends with very low potencies. One uninformed neurologist told me that, “No CBD product discloses potency.” Of course, that’s absolutely false because the public needs to know what they are buying. Why does that matter? It’s so important to be certain that the CBD you are ingesting is not only potent but clean, pure and free of contaminants. The cannabis plant is very porous and easily absorbs both nutrients and toxins from the air and soil, in its environment. That’s why it’s essential that you ingest only CBD that is organically grown. I will only use CBD that has been grown with consistent genetic material, in the clean air state of Colorado. Because the Cannabis plant is 100% legal in Colorado, there are very strict and rigid farming regulations that must be adhered to. It’s much less expensive to get CBD that has been grown with seeds originating overseas, but the problem is, you can never know what toxins these seeds, and therefore the CBD, has been exposed to. The number one factor when buying CBD is making sure you know not only where the CBD has been manufactured, but where the seeds originated from and has it been organically grown. You can scour the Internet and discover that almost no CBD carries an organic certification. I am thrilled that my unique CBD Super Cider product is one of the first CBD products in the entire United States to carry a USDA Organic Certification. It wasn’t easy to get that valuable certification, but it’s so important to me that people have the confidence to know they are taking a pure, effective, organic, high quality, medical grade CBD product. I am passionate about helping you find high-quality CBD at a price you can afford to get the pain relief (physical and emotional), that you’ve been praying for. Here’s another point of confusion I want to point out to you . . . Cannabis is often referred to as hemp, but that’s misleading and here’s why: CBD is officially known as Industrial Hemp. However, it’s so important to realize that Hemp in and of itself may not be CBD. It may just be plain Hemp Seed Oil. Granted, Hemp Seed Oil is nutritious, similarly to olive oil or grapeseed oil–but it is NOT medicinal. So do not be fooled by products that are touting “500 mg. Hemp.” That may be CBD, but it may not. Make sure you are looking for CBD specifically, and not Hemp because Hemp may mean Industrial Hemp (CBD) or it may be just plain ‘hemp,’ with little or no value. Medicinal CBD is full spectrum CBD. Full Spectrum CBD contains the benefits of the whole plant, rather than just extracting one aspect of the Cannabis plant. CBD isolate is much cheaper to produce but it does not offer the same robust benefits as the full spectrum variety. That’s because CBD isolate is simply one compound from the entire plant, extracted and isolated. For the most effective healing benefits, and the greatest bioavailability, choose full spectrum CBD–which means whole plant CBD. You get the Cannabinoids, terpenes, chlorophyll and other nutrients from the leaves, flowers, stalks, seeds–the entire plant. Full spectrum CBD does contain less than .3% THC, which helps to activate the Cannabinoids in your cream, oil, or other full spectrum CBD product. This is not enough to give you any psychoactive reaction, yet it will increase the medicinal benefits. The chemical properties of CBD are similar to the over 80 different compounds that are collectively known as cannabinoids, and these are the chemical substances that are found in the average cannabis plant. Though there are many cannabinoids in the Cannabis plant as well as those found in other herbs, CBD is by far the strongest and most powerful phytocannabinoid. What Are The Different Uses Of CBD? One of the most common reasons people use CBD products is for pain relief. However, there are many other uses for this compound. CBD can be used to alleviate depression and anxiety. Although these mental health disorders are very common, they can leave long-lasting and devastating effects on a person’s well being and overall health. These disorders can affect not only the individuals who are suffering from depression or anxiety, but also their loved ones. CBD can be so helpful for anxiety that the United States Military uses it to help those suffering from PTSD. Post Traumatic Stress Disorder is an overwhelming ailment that affects one in five military personnel. CBD has shown to be a promising natural treatment for those who are looking to avoid conventional medications and the many unpleasant side effects. Additionally, CBD can be taken preventatively to stay healthy and bypass the need for expensive pharmaceuticals and treatments. Acne is another medical condition that is currently being treated by many people with CBD oil and specific CBD anti-aging and beauty creams. Scientific studies have shown that CBD oil may be effective for this skin condition due to its many anti-inflammatory properties. The popularity of cannabidiol or CBD has skyrocketed because of its ability to treat dozens of chronic conditions. Hemp-derived CBD is legal in all parts of the United States. CBD from hemp doesn’t have psychoactive effects. In other words, it doesn’t make a person high. Hence, the possession, sale, and purchasing of hemp-derived CBD is legal in all 50 states of the United States. It enjoys the right to any other legal product sold in the U.S.
CBD. Cannabis, Hemp – What’s The Difference? Why Is CBD So Effective As A Pain Reliever? As previously discussed, CBD is often sought after as an alternative pain reliever. It has proven to be effective in reducing chronic pain, overall discomfort, and inflammation for several health conditions. In fact, those dealing with pain from multiple sclerosis (MS) have reported the most benefits from the use of CBD oil for their pain. I personally have had such positive feedback and have heard so many amazing stories from my own clients who are using CBD Super Cider and/or Rena’s Organic CBD tinctures in addition to my 1000 mg. CBD pain relief cream (and even the 500 mg. CBD pain relief cream) for inside-outside relief. mg. CBD Pain Relief Cream daily. Another time, my Mother called to tell me that she woke up with horrible pain in her fingers. She wanted me to know that she had applied the 1000 mg. CBD pain relief cream, and unbelievably, the pain disappeared. I’ve heard so many stories like this from so many of my customers. It’s really so exciting! CBD oil is also used by many people who have cancer. Though it may not replace traditional cancer treatment such as radiation or chemotherapy, it can certainly make these treatments much easier and reduce side effects. Some promising studies have shown that the compound has the potential to reduce malignant tumors. These studies were conducted on mice, but human studies have shown that cancer patients have experienced noticeable relief in symptoms caused by chemotherapy. 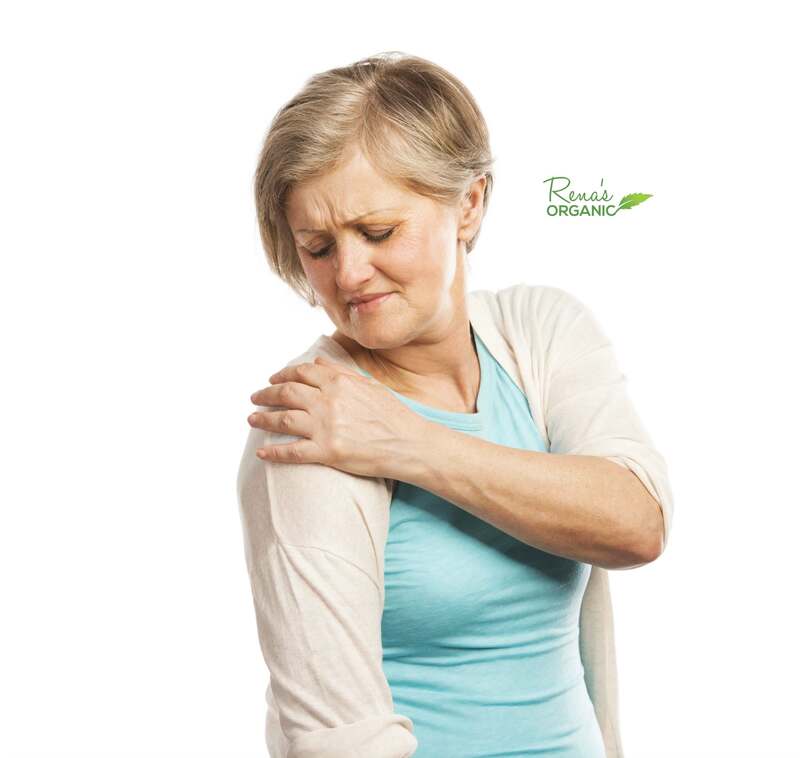 Over 70 million people in the United States suffer from chronic pain. Studies on the use of CBD for pain control have been very promising. This is due to the fact that the body’s Endo-cannabinoid System has significant involvement in the way the body processes pain signals. As far back as 1859, Dr. Sir John Russell Reynolds, neurologist and pioneer in researching epilepsy and Queen Victoria’s personal physician, was reported to be an advocate of the use of CBD for pain relief. All major civilizations throughout Asia, the Middle East, America and Europe, used CBD for pain management for centuries. It’s only been since 1937 that CBD was unfairly made illegal, when it was mistakenly categorized as an illegal substance. To a large extend this was a political move that fortunately was undone in 2014, when President Obama signed the Farm Bill into legislation. We are so fortunate to now have this miracle pain eraser available to us once again. Due to the Farm Bill, CBD is now legal in all 50 United States. In fact, the United States Government has a patent on CBD, which is being researched for its anti-oxidant, anti-anxiety, analgesic and anti-inflammatory effects. Some promising research has also shown that CBD can eliminate or reduce the need for opioid medications. For those people hooked on opioid pharmaceuticals, some studies have indicated that CBD can reduce the build-up of tolerance and lessen withdrawals from these dangerous drugs. The way CBD reduces or eliminates physical pain is by lessening inflammation, which is often at the root of much pain and disease. In fact, inflammation is also implicated in illnesses that don’t involve pain, such as diabetes, heart disease and even depression. It’s for this reason that Endocrinologists and Cardiologists, as well as Neurologists, often refer their patients to us for CBD. At the same time, many doctors are recommending their patients use CBD, not only as an anti-inflammatory, but also for its analgesic benefits. 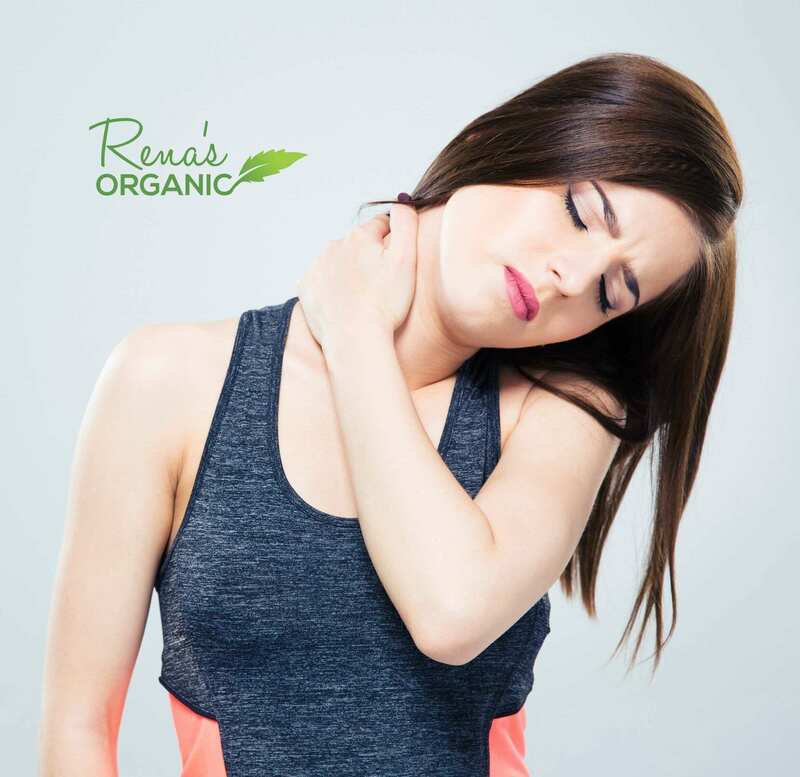 Over the last few decades, scientific research on CBD – Cannabidiol – has proven that CBD is a safe and effective analgesic for many kinds of pain. How does CBD Eliminate Pain? “Cannabinoids alleviate pain through a variety of receptor and not-receptor mechanisms including direct analgesic and anti-inflammatory effects, modulatory actions on neurotransmitters, and interactions with endogenous and administered opioids. The body’s innate Endo-Cannabinoid system was discovered by scientists in the late 1980s. The system consists of receptor cells in the brain and nervous system, within the immune system, and throughout the connective tissue and cells of the body. Additionally, the Endo-Cannabinoid system includes the body’s endogenous cannabinoids and the proteins that bind and metabolize them. Research has suggested that the Endo-cannabinoid system is involved both centrally and peripherally in the processing of pain signals. Studies have found that Endo-Cannabinoids inhibit the release of neurotransmitters involved with the perception of pain. According to the European Medical Journal “In for Life,” the definition of Cannabinoid is a pharmacological agent of endogenous (the body’s own manufactured cannabinoids), botanical (as in CBD) or synthetic (man-made pharmaceutical) origin. Why do we need plant cannabinoids if our bodies make their own cannabinoids? Plant cannabinoids can have a powerful effect on so many areas of our health because they make the Endo-cannabinoid system work more efficiently. CBD also inhibits the enzyme FAAH, which breaks down the body’s endogenous cannabinoids. A high quality Full Spectrum CBD product will also contain other lesser-known, yet effective cannabinoids such as CBC and CBG, as well as powerful plant terpenes. A terpene is a plant essential oil, with healing characteristics. A high quality CBD product to be used for therapeutic benefit needs to have a complete Cannabinoid and terpene profile. This is necessary because each of the cannabinoids have a slightly different action. CBD by far is the most effective cannabinoid for both reducing inflammation and for providing analgesic benefits. When you use a whole-plant product, the effectiveness of the CBD is supercharged because all the components of the plant work together holistically to create a therapeutic effect. The most effective way to eliminate pain with CBD, according to experts, is to use a dual approach. It’s recommended that you use a topical pain relief cream on the effected area as well as ingest CBD orally. 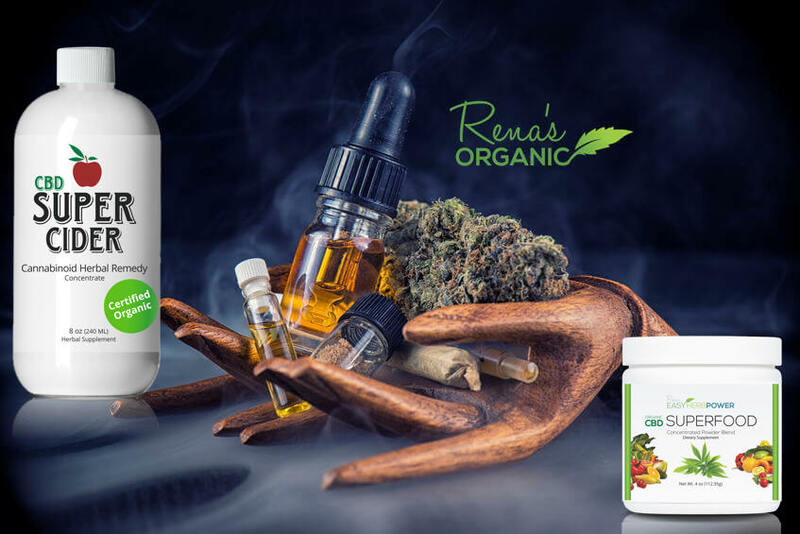 Rena’s Organic CBD is made with the highest quality medical grade CBD on the planet. Don’t just take our word for it. Check out our 3rd party analysis and read what our customers have to say. 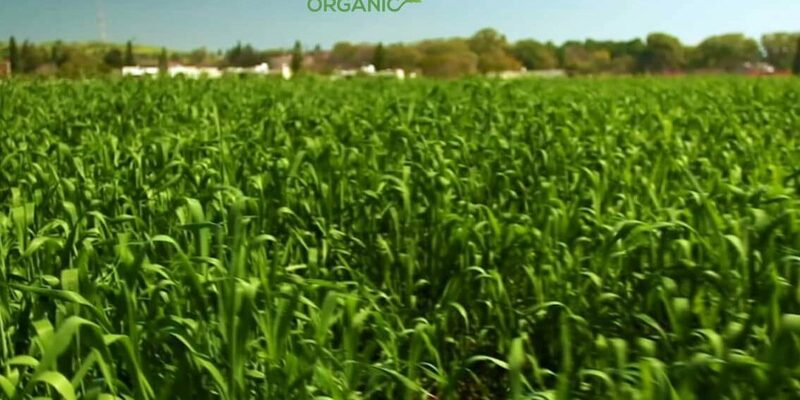 Rena’s Organic CBD is USA grown in Colorado, under strict organic farming guidelines. The Industrial Hemp plant, which CBD is derived from, is a bio-accumulator. This means that it draws toxins from the soil. 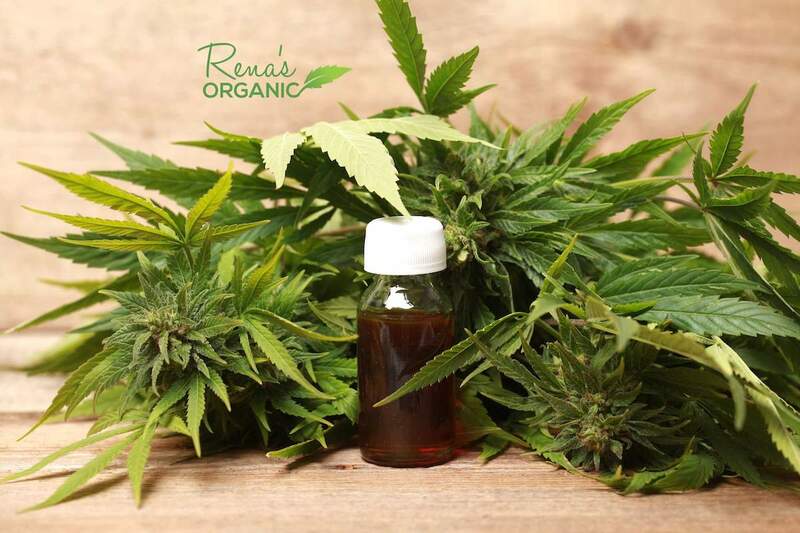 That’s why it’s essential that you only ingest CBD that has been organically grown under strict farming conditions, such as the CBD used in Rena’s Organic products. All of our products are highly potent. 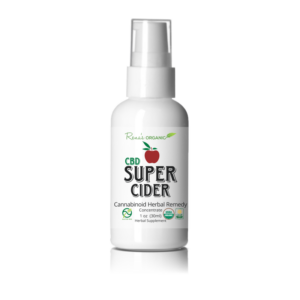 CBD Super Food has 250 mg. Organic CBD or more than 10 mg. per serving, and our Organic Tinctures contain 300 mg., 600 mg., and 1500 mg.
CBD Super Cider, our premier and most popular product, contains 25 mg. CBD per serving—400 mg. Full Spectrum, Organic CBD per bottle. Athletes, business people, elderly and young people alike, who have suffered with physical pain, have raved about the benefits of our 500 mg. and 1000 mg. Organic CBD Pain Relief Cream. 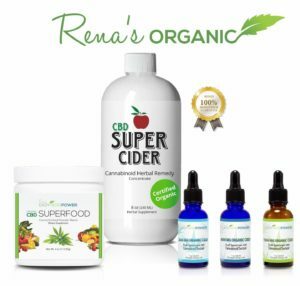 Most often the cream is used in conjunction with Rena’s Organic CBD Super Cider or Rena’s Organic Easy Herb Power, 300 mg., 600 mg, or 1500 mg. Organic CBD Tincture. Since discovering the benefits and power of CBD myself, quite by accident, after providing Wellness Seminars to over 200,000 people in over 75 hospitals, it is my goal to make this amazing, healing plant compound available to everyone who is needing relief from physical and/or emotional pain. Pharmaceutical grade CBD with all the medicinal Cannabinoids and Terpenes intact is expensive to grow and extract. Still, I strive to keep my prices as low as I possibly can without compromising therapeutic quality. In a world driven by marketing, this isn’t always easy. I am committed to helping as many people as I can. To that end, please check out our first time buyer discounts. Also, please be assured by our 30 day money back guarantee. If you don’t get the relief you are hoping for—if you’re not 100% happy with the products, please return them for a full refund. Let me know how I can support you – feel free to reach out to me. Did you know that every 90 days the cells of your body are 90% completely new? That means that it’s possible to transform into a brand new you! Imagine being a you—who looks in the mirror and loves what you see looking back at you. Imagine your joints feeling great. Imagine your mood happy and content. I’ve been on a personal growth journey and a Wellness Speaker for decades. Any sound strategy to uplift my own and others level of health—mentally, physically and emotionally, is captivating to me. If you’ve followed my work, then you know that I have used Biofeedback & Empowerment Strategies to help over 200,000 people to lose weight and stop smoking in over 75 hospitals and medical centers across America, since 1990. Having faced death at a very young age myself, my focus has been on how to achieve the highest level of health possible. I believe that we can not only survive, but actually thrive, when we are empowered to use nature’s healing tools. It’s been an absolute gift to me to help others achieve not only their ideal weight, but a much greater level of health and happiness. Eat as close to nature as possible—whole, real, clean, unprocessed food, from the Earth, as much as possible. Be a student of yourself with full compassion. Set your daily intention to increase your awareness of your own emotions, habitual patterns and needs. Release what no longer serves you. Create a meditation/self-hypnosis practice daily, to increase your love, forgiveness and gratitude—to expand your perceptions and open your heart. As much as possible, let plants be your medicine. Seek to heal from nature’s bounty (unless you are really sick, in which case you may need surgery or pharmaceuticals. I do not advocate making un-wise decisions). Living according to these four keys has turned my life around in ways I never imagined. Though I’ve studied the healing power of herbs for many years, my latest herbal discovery has been absolutely mind blowing. What if I told you that there’s a natural compound with the power to reverse health issues, to help you feel younger, healthier, happier and pain-free? I wouldn’t have believed it myself just a few short months ago. It was about that time when I was introduced to CBD (Cannabidiol) as a possible treatment for my Glaucoma. Not only did this healing compound lower my eye pressure, but I discovered so many additional benefits that I want to share with you. The reason why CBD has so many benefits is because it is rich in medicinal Cannabinoids. In the late 1980’s, scientist, Raphael Mechoulam, discovered a system throughout the human body, known as the Endo-Cannabinoid System. It turns out this system has receptor cells in every part of the body, including the brain, immune system, connective tissue, skin and glands. The body generates its own Cannabinoids (hence the term Endo-Cannabinoids) but they are short lived, due to an enzyme known as FAAH, which works to dissolve them quickly. The Cannabinoids in CBD are plant compounds that mimic the body’s own Endo-Cannabinoids. CBD stops the breakdown of the body’s Endo-Cannabinoids (also known as Anandamide or “The Bliss Molecule”) by blocking the FAAH enzyme. This explains why CBD can make such a profound difference in so many areas of your health. Personally, though I love the newfound sleep remedy I found in CBD, the most impressive result has been the inflammation fighting, mood enhancing and pain relieving delivery in CBD. One thing I learned early on is that there’s a huge difference out there in what is being hyped as Hemp Oil or CBD from unknown origin and pure, medical grade, third party tested, Organically USA grown CBD. One reason it’s so confusing and misleading is because CBD is also referred to as Industrial Hemp. That’s what makes CBD legal—the fact that it’s Industrial Hemp and not just Cannabis. What’s the difference? Cannabis may or may not have psychoactive THC in it. Cannabis is also the plant family that Marijuana originates from. This often causes confusion between the two plants. CBD has no psychoactive component. It does not alter you in any way. It does, however, carry profound healing and therapeutic effects. Is the CBD Medical Grade? But many people out there are taking advantage of people’s lack of knowledge regarding the term Industrial Hemp. I’ve seen Hemp being sold that contains little or no actual CBD. Pain relief topical creams are being sold in Chiropractor’s offices with only 50-250 mg. CBD in them. And the worse part is, these products are costly. It’s true that CBD is actually an expensive medicine. The reason why is it takes a lot of plant material to make CBD and a good amount of labor to extract it properly without chemical solvents. But it is upsetting to think that expensive products are being marketed and sold as if they were high quality potent CBD, when there is often almost no therapeutic amount of CBD to speak of in these products. How Do You Know Which CBD to Buy? I created Rena’s Organic Easy Herb Power when I realized how hard it is to find authentic, quality, Organic CBD. I also wanted to offer unique products that supercharge the body’s innate Endo-Cannabinoid System. After consulting with Master Herbalists, I’m thrilled to bring to market CBD Super Cider and CBD Super Food. The feedback on these two products alone has been nothing short of amazing! That’s because these Rena’s Organic products are made with only organic, therapeutic, nutritious and all natural ingredients. I especially researched the CBD industry thoroughly. It was essential for me to be absolutely certain that my customer is getting the best product possible. Is your CBD 3rd party tested for potency and purity? If so, is this 3rd Party Analysis accessible and does it state that the product you are purchasing has the high levels of CBD it is claiming to have? Compare potency with price. Authentic CBD is expensive. What’s the point of paying $40 for a tincture that only has 100 mg CBD? Or, a pain cream with only 200 mg. CBD? The worse part is that these products are often not even lower in price. My local health foods store sells a one-ounce tincture bottle of CBD for $80. The potency? Only 300 mg! Read your labels and be a smart CBD shopper! Is the CBD Organic? Is it grown in the United States? Did the seeds originate in the United States? Cheap CBD often comes from Europe and China where the farming standards are not as stringent as they are in Colorado. The best CBD is grown in Colorado because the weather conditions are perfect for the Industrial Hemp plant. Cannabis is a very absorbent plant and if it’s not grown in pristine organic conditions, it can easily absorb the toxins in the environment. Is the CBD you are taking orally at least 250 mg.? Is the topical CBD you are applying for pain relief at least 500 mg? 1000 mg. is going to be even more effective. This is why I created Rena’s Organic Easy Herb Power CBD products. It’s nearly impossible to find CBD that has all these characteristics. I am doing everything to keep my overhead as low as possible so that I can pass the savings on to my customer. I strive to give you the absolute best price while still giving you the highest quality CBD available anywhere. I want everyone to experience the incredible health benefits that I did when I started taking CBD. To make it easy, I also offer a complete 30 day full money back guarantee (less shipping). Rena’s Organic high quality products. After you discover all the incredible benefits of CBD, the next logical question is: how much CBD should I take? CBD is not one size fits all. It’s important to listen to your body and discover what the best dose is for you. At the same time, let’s take a look at some evidence-based guidelines to help you get started. The perfect dosage of CBD for you will depend on many factors, including your stress level, your body weight, health conditions you may have, any medications you are taking, and the level at which your Endo-Cannabinoid System is currently functioning. Your CBD dosage should also be determined by the symptoms you are wanting to treat. As you review these guidelines, bear in mind that your dosage is not a static number. It is likely to shift in time, so it’s important to monitor your own symptoms and progress and make necessary adjustments accordingly. The other thing to keep in mind is that sometimes less is more, especially when using high quality CBD products. When the CBD product you are using is Full Spectrum and potent with Cannabinoids, Cannabidiol, Flavonoids and Terpenes, you may find that you actually need less to get the greatest benefit. In general, it’s best to start off with a small dose and adjust according to your body’s response, until you get the desired result. On the other hand, for certain conditions and optimal results, you may want to incrementally increase your dosage. One of our customers, Jolene, was taking CBD to help her sleep at night. She started off taking a full dropper of the Rena’s Organic 1500 mg. Organic CBD Tincture – which amounted to about 50 mg. CBD, and slept like a baby. However, when she switched to taking a dropper (20 mg) of 600 mg. CBD under her tongue, one hour before sleep—rather than the higher potency CBD—she was much more energized in the morning. In Jolene’s case, she found that the lower dosage was her definite “sweet spot” when it came to improving her sleep. The first question to answer is what is it you want to treat? Are you taking CBD to increase your overall wellness? 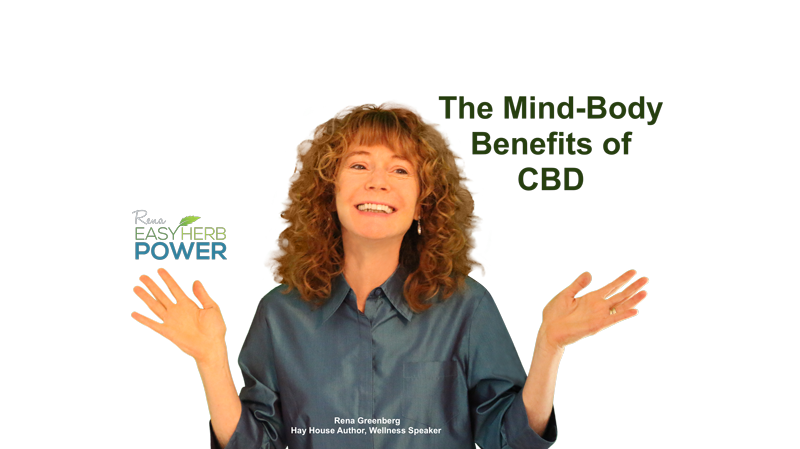 Many people who have become enlightened about the benefits of CBD on the body’s innate Endo-Cannabinoid System choose to take CBD for illness and disease prevention. CBD is often used as preventative medicine because it is so similar to the chemicals the body naturally creates, when the body is in optimal health. It’s for this reason that Cannabinoids (the plant compounds found in CBD) often are integrated and utilized within the body more efficiently and with greater efficacy than synthetic pharmaceuticals. The reason CBD can help in so many areas of health is because cannabinoids and their receptor cells are found throughout the nervous system, in the brain, immune cells, in many organs as well as in the connective tissue, skin and glands. The reason the list of health concerns CBD can treat is so long is because the Endo-Cannabinoid receptors can be found throughout almost all bodily systems. This is why CBD can be used as preventative therapy to help protect the body from aging and stress. So how do you know where to start? Let’s take a look at recommended dosages, based on Cannabinoid research. The doses I am giving you below are best as starting dosages. Then, based on how you feel, in terms of relief from symptoms and experiencing no negative reactions, you can increase your dose accordingly. The best course of action for many users is to start out with even just 2-3 mg. That may just be a drop or two of the higher potency 1500 tincture or ¼ teaspoon of CBD Super Cider. Listen to your body. If you have any unwanted reactions at all, go slowly. If you feel good and you’re having no undesirable effects, then you may build up. It’s not a race . . . It will be worth it, because if you’re like so many other Rena’s Organic users, once you find your perfect dose, the changes in your health can be remarkable. To improve sleep and for mood disorders, headaches, nausea, stress, PTSD and metabolic disorders, often lower doses (12-25mg daily) can be very effective. For pain, inflammation, Lyme Disease, mental disorders, weight loss, multiple sclerosis, depression, anxiety, autoimmune disorders, fibromyalgia and inflammatory bowel disease, a slightly higher dose has been shown to be more effective (25-75 mg. daily). Diseases such as cancer, epilepsy, liver disease and other life threatening conditions, often require much higher doses of medicinal grade CBD—sometimes from 600-1200 mg. per day, depending on a person’s body weight (typically under a health provider’s supervision). The following dosage recommendations are based on a body weight of 110-200 pounds. If you weigh more or less than that, please adjust accordingly. If you weigh between 110 and 200 pounds, most people find that a good starter dose is 10-16 mg. Medical Grade CBD. This is typically a good amount to take, when introducing Cannabidiol (CBD) into your system, during the first few days. If you are very sensitive, you may want to even start out with less. As mentioned earlier, if you’re very sensitive, then even just a few milligrams is a wonderful place to start. If you were taking the 600 mg. Organic CBD Tincture, your dose would start at 30-50 drops, under the tongue (approximately 1-2 full droppers). 1500 mg. Organic CBD Tincture contains 12.5 mg. in only 15 drops, or about 1/4 dropper. If you were taking CBD Super Cider, you may start with 1-2 teaspoons, which contains about 8.5 mg. CBD in each teaspoon. CBD Super Food contains 10 mg. CBD per scooper. If you feel good with your initial dose, but still would like more relief in the above-mentioned areas, you can increase your dose incrementally, going up to 25 mg. CBD per day or more. That would be about one tablespoon CBD Super Cider daily or 30 drops of the 1500 mg. Organic CBD Tincture (sublingually, which means under the tongue). If you are in acute pain, best results may be obtained from a higher dose, starting at 50-150 mg. Organic CBD, or 1-3 full droppers of 1500 mg CBD, taken throughout the day. 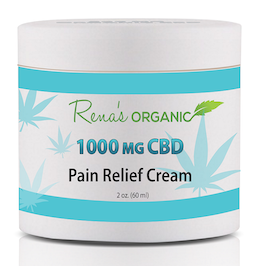 When the pain is localized to a certain part of your body, except obviously in the case of a headache or toothache, best results are achieved when taking CBD orally is augmented with applying 1000 mg. CBD pain relief cream, topically, on the affected area. Lauren suffered from Chronic Pain and Fibromyalgia for years. She was in constant pain and often felt so fatigued she could barely get through her days. She immediately experienced relief when she took CBD Super Cider. Lauren started with the recommended dose of one tablespoon. However, she soon discovered that she felt much better when she split that up throughout the day. For Lauren, one teaspoon of CBD Super Cider (8.5 mg CBD) in the morning, one more in the afternoon and another in the evening, was all she needed to bring about a huge change in her health. Just the 3 teaspoons of CBD Super Cider (25 mg. CBD) per day was enough to make her pain-free and energized enough to create a much more active lifestyle. It’s important to realize that Lauren is a very petite woman. 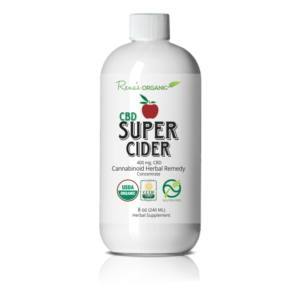 Many other Rena’s Organic CBD users report that though one tablespoon of CBD Super Cider gives them the energy they need earlier in the day, augmenting with 600 mg. or 1500 mg. CBD in the evening—sometimes up to 50 mg.—really helps their sleep. Also, keep in mind that CBD builds in your system. For conditions like Glaucoma, regular intake of 20-40 mg. daily is recommended. The important thing is when you bring your dose up or down, stay at the same dosage for at least a few days so you can notice how your body is responding. If you experience any unwanted effects, then simply cut back. With every substance, dosage is such an individual thing. Sometimes less is more. However, often people need to take more CBD to experience medicinal benefits and a noticeable change in their health. If you are wanting greater relief from symptoms or if you’re not noticing any real change, and you tolerate your current dosage well, then you may want to increase your dosage. The great news is that there is no known toxicity with CBD. Some scientists believe that’s because, in humans, there are no Cannabinoid receptor cells in the brain stem, which controls breathing and heart rate. The key with CBD, as with all other substances including food, is to listen to your body and adjust accordingly. 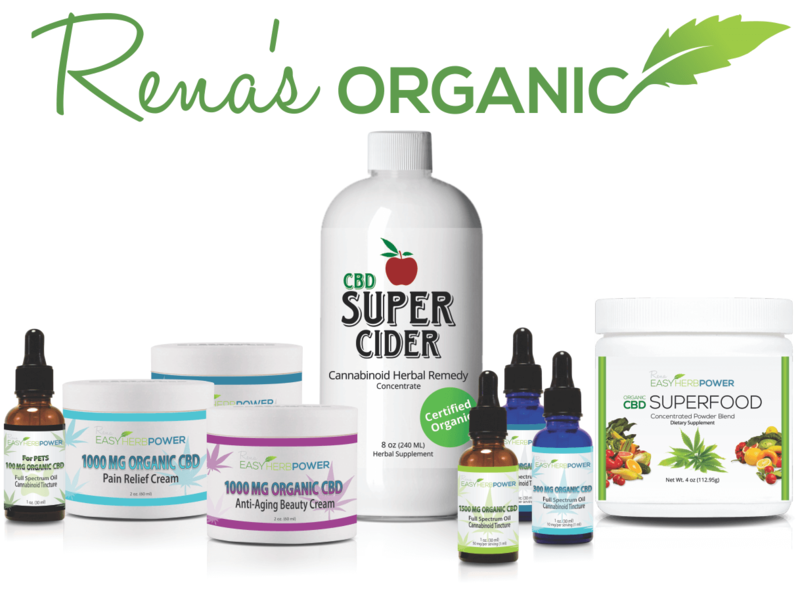 Rena’s Organic CBD Super Cider and our 300 mg, 600 mg, and 1500 mg tinctures contain the finest quality Full Spectrum, Colorado grown, Organic CBD on the market, rich in the plant’s naturally occurring Cannabinoids, Terpenes and potent Cannabidiol. 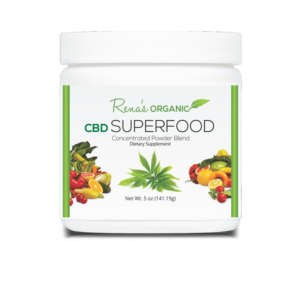 CBD Super Food is a potent energy boosting and health-promoting formula made with 23 organic super foods and 250 mg. water soluble CBD. Our customers love the delicious taste and how easily this tasty, nutritious powder mixes into water, for a quick, healthy energy boost during the day. Check out our special discounts on every CBD product in our store. We want you to be completely happy with your CBD experience, every step of the way. That’s why we’ve got you covered with our complete 90-day money back guarantee (less shipping). If for any reason, you’re not 100% happy with the products, they’re free. Please reach out to us with any questions. It’s my pleasure to support you in your quest for optimal health and wellness. The answer is, “Yes!” In fact, treating animals with CBD is nothing new. The Ancient Greeks used CBD to treat their horses for inflammation, colic, wounds and injuries. 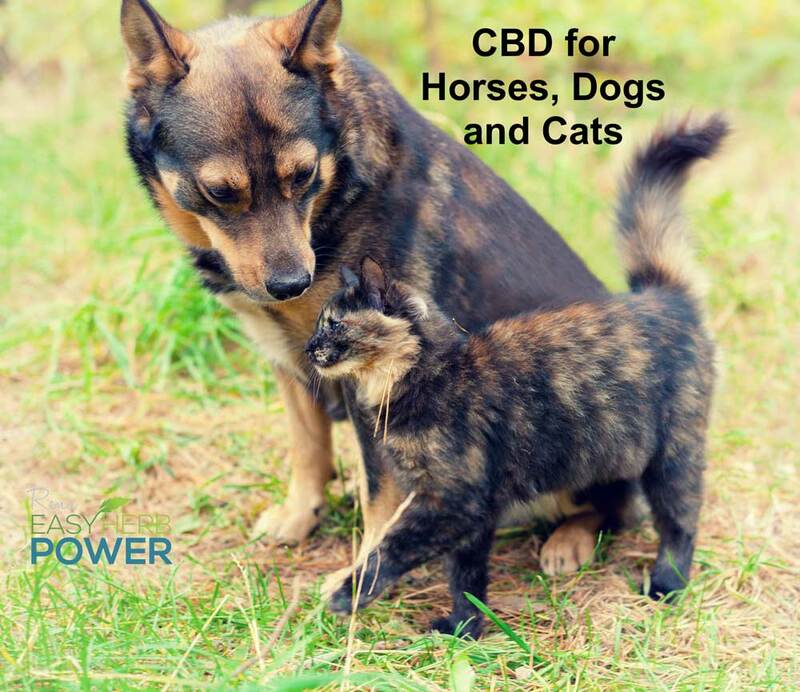 Studies on the benefits of treating dogs and cats with CBD, date back to the early 1900s. Recently, there has been a renewed interest from pet owners and veterinarians alike in the effectiveness of treating our furry friends with CBD. The results have been very promising. Many pet owners are faced with watching their pets suffer from many of the same diseases that humans are inflicted with: arthritis, diabetes, cancer, inflammation, seizures, pain and digestive issues. There are more and more reports of animals being treated for these and other ailments successfully with CBD. One ailment where CBD has been documented to be very helpful for both humans and animals is epilepsy. Lance is a beautiful Collie who was having multiple seizures throughout the day. The diagnosis was epilepsy. Even though his seizures were relatively mild, the episodes were occurring throughout the day. The cause was unknown as an MRI found nothing medically wrong. After being on high quality, medical grade CBD for only two weeks, Lance’s seizures were 70% less frequent. His owners were thrilled as he seemed so much happier and calmer. Even though Lance sometimes still had an occasional seizure, his quality of life significantly improved (and his owners are a lot happier, too)! Just like people, animals have a complex Endo-Cannabinoid System. They have the same Cannabinoid receptors as humans: CB1 and CB2. In a dog, the CB1 receptors are primarily in the brain and central nervous system. They also can be found in the muscles, vascular system, lungs, gastro-intestinal tract and reproductive organs. CB2 receptors are found in the immune system and in the periphery, mostly in the spleen skin and bones. The liver, bone marrow, pancreas and brainstem has both CB1 and CB2 receptor cells. Just like with humans, the Endo-cannabinoid System in dogs, cats and horses controls appetite, sleep patterns, pain sensation, mood and memory. There is a difference in the Endo-cannabinoid System of dogs as compared to humans. Dogs have more receptor cells in their brainstem and cerebellum than other animals. This makes them extremely sensitive. That’s why it’s always recommended that you only give your dog two drops of potent 100 mg. CBD oil for every 5 pounds of body weight, and no more than that. Higher concentrations of CBD are not recommended for cats or dogs. Because your pet is so sensitive, you want to make sure that you are using the highest quality, organic CBD product. Make sure the product you are using is third party tested for both purity and potency. Though you do want a very high quality, Full Spectrum product, you want to make sure that any ingestible CBD for your pet is no more than 100 mg CBD and that you are only giving your pet two drops of CBD per every ten pounds of body weight. Full Spectrum ensures that the nutritional components of the entire plant are being utilized. Like all plant-based medicines, CBD which comes from the Industrial Hemp plant, is comprised of many active compounds. It’s the synergy of these various components—the cannabinoids, terpenes, flavonoids, CBD (Cannabidiol)—that work together to enhance the effects of any one of these constituents alone. This is known as the “Entourage Effect” and is why using a whole plant botanical medicine is considered to be far superior to just isolating out one single compound for pharmaceutical use. Your pet and you will benefit most from a Full Spectrum product that is produced with the medicinal value from within the whole plant. The Entourage Effect is based on the theory that the synergistic effect of the various parts of the plant is ultimately greater than the sum of its parts. Also make sure that there are no other ingredients in your pet’s CBD, except the CBD and oil, preferably organic coconut oil, which has added nutritional value for your furry friend. You do not want the product you give your precious cat, horse or dog to have any sweeteners—which can create an adverse reaction. The more pure and clean the CBD product you select, the better. It’s best to add the drops of Organic CBD oil to your pet’s food, in the morning and evening. To avoid waste, just give your horse, dog or cat a little bit of the CBD enhanced food at a time. It’s important that you know where the CBD you are giving your beloved pet originated from. Seeds or plants from China are a lot cheaper, but the problem is they may be filled with toxins and impurities. Because right now the Industry is predominately unregulated, you want high level quality control for your end product. Therefore, the best place to make sure your CBD originates from is Colorado. The laws are strict in Colorado because farming CBD is legal there. Colorado is one of the few states that has strong guidelines that must be adhered to in order to certify the CBD as Organic. When it comes to your pet (and you), safety and effectiveness are the most important issues. Is Your Dog, Cat or Horse in Physical Pain? In addition to giving your pet CBD orally, if your cherished cat, dog or horse is suffering, it’s likely they will do incredibly well with topical pain relief cream. The results have been phenomenal for pets who have skin allergies, arthritis or back pain. Because animals have a plethora of Cannabinoid receptor cells in their skin and hair follicles, they are very receptive to massage with CBD pain relief cream. The receptor cells are both in the skin as well as in the muscles and joints, bringing relief from pain at both superficial and deeper levels. Often animals have better relief with CBD pain relief cream that they do with steroid and other pharmaceutical medications. The only caution is that you must make sure the pet doesn’t lick off the medicine, especially since the pain relief topical creams that are potent enough to eliminate pain are going to be stronger in concentration. The other issue is that the fur may need to be trimmed in order to apply on the affected painful areas. The effects of topical creams on pets have truly been remarkable. The best thing is that the results in many cases are almost instant. Though, in some situations, it may take about a week for the pet to get used to the CBD. What a delight to see older dogs getting to run around and feel young again. Or dogs afflicted with cancer that are no longer in pain. Owners are thrilled to see their dogs, cats and horses have an increase in appetite and a palpable improvement in their pet’s quality of life. At Rena’s Organic we are committed to bringing you and your pet the very best CBD on the planet at the best cost we can, while still being able to stay in business. Our VIP Club offers tremendous savings—the best prices anywhere for the highest quality. How can we do this? By keeping the overhead as low as possible. We are on a mission to get these amazing life-changing high quality CBD products out to the people and animals who need them. 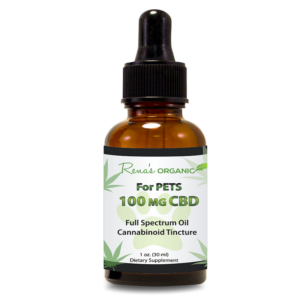 If your pet is in pain or riddled with anxiety and nervousness, try Rena’s Organic PETS Organic CBD 100 mg. 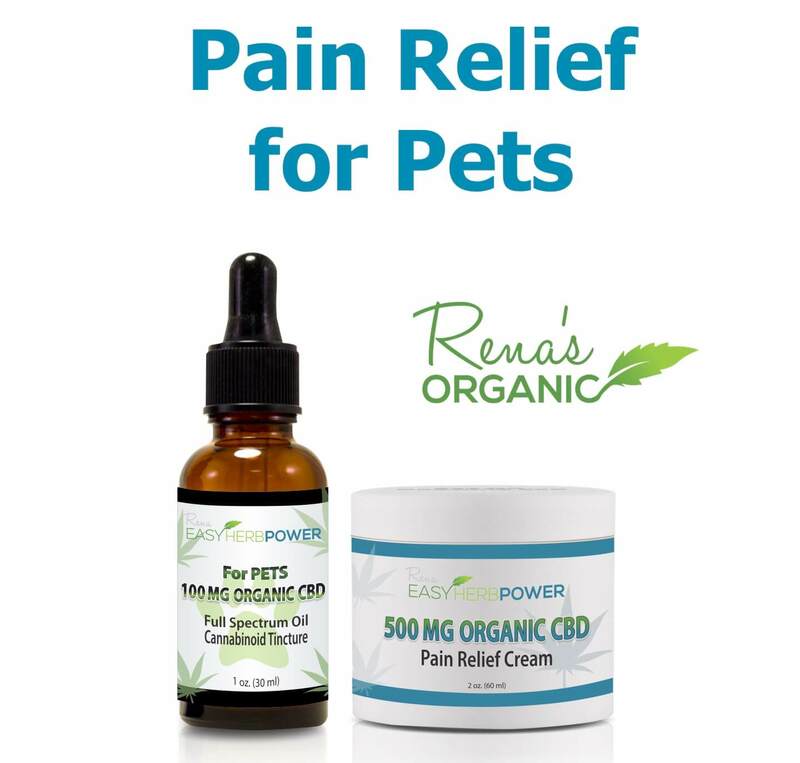 If your loving four legged friend is in pain, we highly recommend you also add the 500 mg. Organic CBD Pain Relief Cream to massage into and soothe your pet’s pain away. I so regret that my loving 17-year-old toy poodle, Angel, died before I knew about the miraculous healing power of CBD. If you still have your loving pet with you, then you are blessed. Please let me know how treating your pet with CBD goes for you. Always check with your veterinarian before making any dietary changes for your animal.